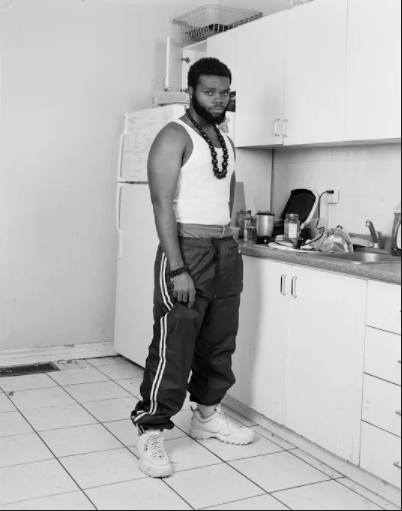 Friday Art Crush is an interview series highlighting the work of Photography students in their thesis year at OCAD U. We grab a coffee and chat about what they have been exploring, and they share great advice for working on a year-long project. 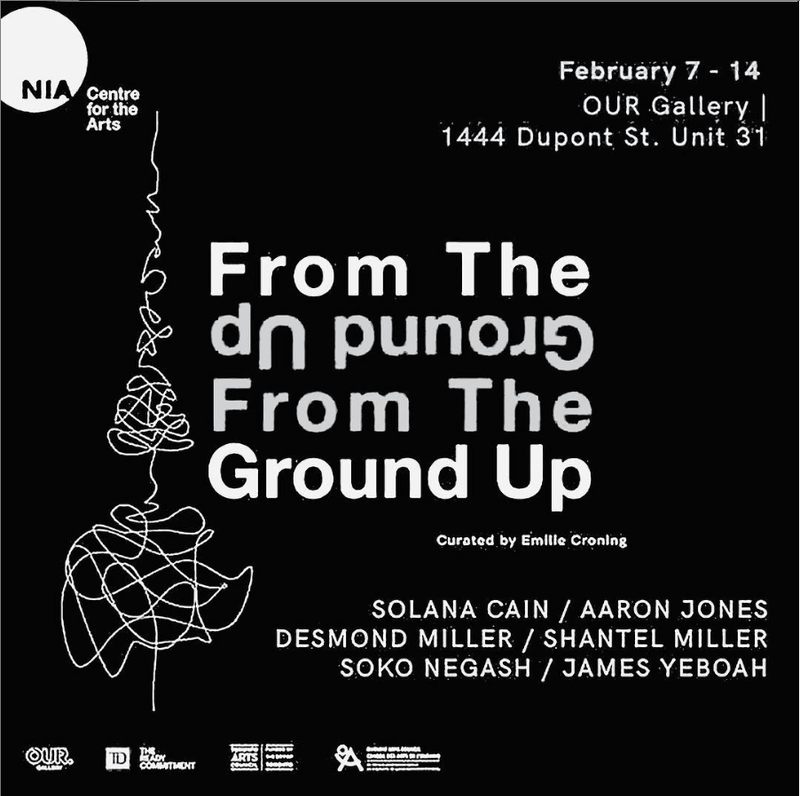 The series was created and led by Morgan Sears-Williams; this year, it has been taken over by Ana Luisa Bernárdez. 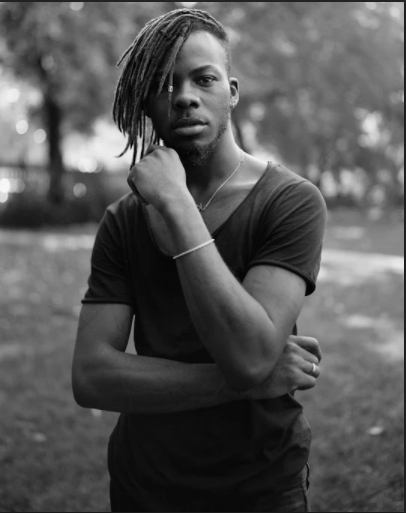 This week, Ana chatted with Bidemi Oloyede, a Photo major in his fourth year. What have you been exploring in your studies at OCAD? I have explored a lot of things since my first year: sculpture, 3D, design, illustration, animation. I’ve tried pretty much everything, but since majoring in Photography, I’ve found more interest in the documentary aspect of it. I started to experimenting with film, and made the decision of working with it primarily because I appreciate the process of the medium. I have explored different forms of documentary, but I focused mostly on street photography and works reminiscent of old school reportage: candid, not staged, in-the-moment, all shot on traditional black and white film. I process and print everything in the darkroom most of the time. Has the focus on documentary photography continued in terms of your thesis project? Recently, I have been doing a lot of research on the problem of race and racism, which for a long time I distanced myself from, because I didn’t want my work to be political. This led me into being very interested in the history of photography, and how it has played a huge role when it comes to representation, more specifically in the representation of black bodies. Historically, photography has been used as sort of a weapon against my race, and other minorities. 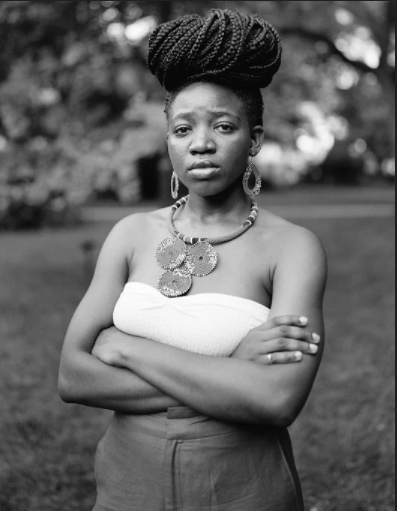 My research focuses on the black race and how representation through photography has evolved, changed and impacted the black race in our society over the years. I’m exploring some of these methods, such as making tintypes, one of the first ways of making images from the eighteen fifties. Daguerreotypes (which are similar to Tintypes) were used at a point in time to photograph a lot of enslaved people in the area around Columbia, and aimed to diminish black bodies. The use of these images was to make blacks look inferior to any other race, so part of my thesis is using that method now to photograph contemporary black people, and giving them the power to represent themselves in the way that they want to be represented. 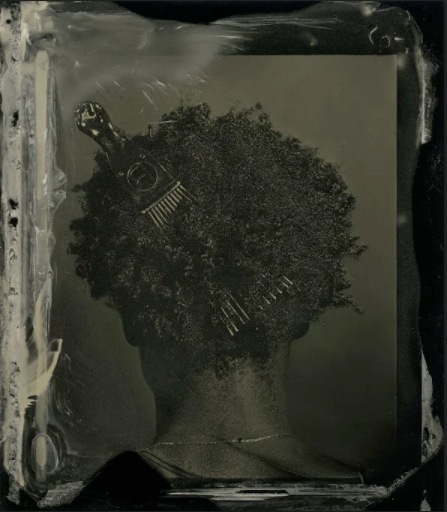 I am using the medium to create a counter narrative around the associations with slavery that are usually made when one encounters forms of imagery like a tintype, of a black person. I have seen you do solely street photography for a long time. I’m interested in this turn that your work took and how you got there. I like challenges and, as opposed to doing something that I am very familiar with and have been exploring for a while, I decided I was going to go the opposite direction and explore something different. I still see it as documentary of some sort, but I was used to just taking the photographs on the street, without consent or anything, and then I took this complete U turn: having to ask and work with people to create these photographs that represent them, rather than just portraying a moment I saw or felt a connection to on the street. I wanted to get out of my box. Sounds very interesting, how was your progress throughout last semester and how do you see the project evolving from there? Last semester was the research aspect of the project. I was doing a lot of research on portraiture, because it is very new to me – investigated its power, and how it has impacted society in terms of representation of both power figures and regular folks. I looked a lot of the greats who worked primarily in portraiture: what they did, how they representedother people through their lens, and using that to inform myself of the basic workings of portraiture behind the lens. I am constantly figuring out my own methods of working with the subject to come to represent them how they want to be. I started photographing people with a large format camera, and I also started to play around with making the actual tintypes (it’s definitely a never-ending learning process). 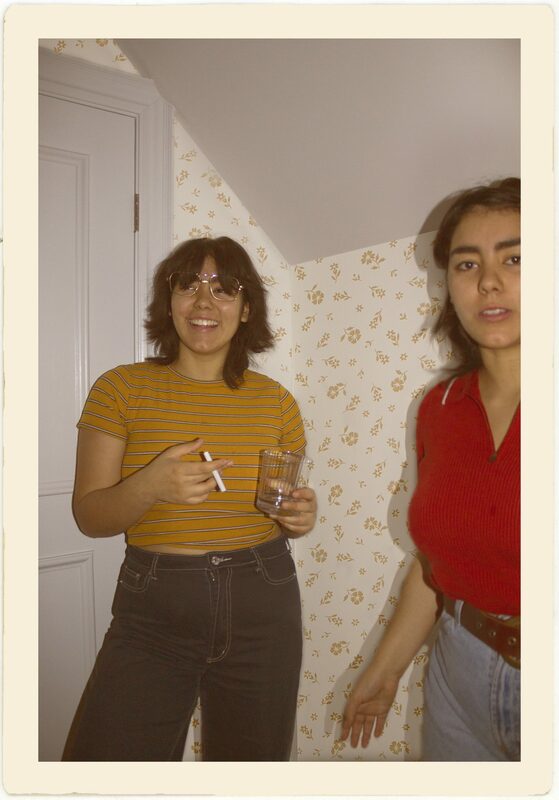 Going forward, I’m looking at other forms of representation outside of the studio setting, and this semester I’m doing a lot of environmental portraits: photographing people within the context of their homes, and seeing how their space could inform their personalities, who they are, and how they want to be seen. I’m also trying to push the tintypes forward, because the project for me is not about mimicking history, but simply referencing it. I’m not going to dress people in victorian clothes or something, but rather represent them in a contemporary context – if they have hoodie on from school and an iPhone in their hands, I’ll include that in the tintype. Fashion plays a very big role in that as well. That is one of the ways of defeating the associations of tintypes with historical narratives and slavery. 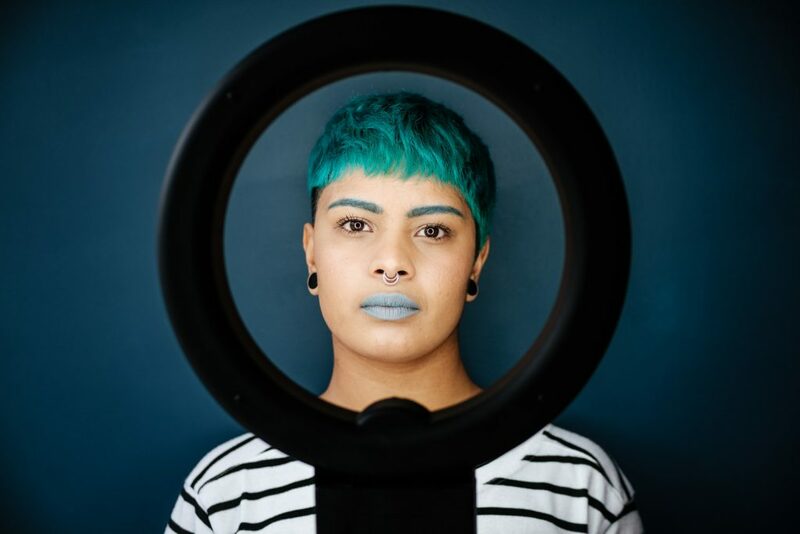 Have you included yourself in this counter-narrative project through self-portraiture? The self-portraits were very brief explorations, they’re not necessarily part of the thesis. The only way of starting to learn about portraiture was to start out with myself as the subject. The only “proper” photograph I have of myself is a tintype, and it’s an interesting feeling. One idea that I’m trying to to tackle with the tintypes is that of permanence – tintypes can outlast the subject themselves and most of the generations to come if preserved properly. Having this permanent rendition of oneself is something I feel we should all be striving for. A big part of the project is reinforcing current histories that are being made, as opposed to having something more malleable or easily erased. I’m striving for a more permanent record or archive of black people living in this time, and how they come to represent themselves in ways that they want to be represented. I think it is important. How do you approach your shoots in a way that is collaborative and that allows your subjects to choose how they’ll be represented? I’m a very structured person, as you know, but I try to leave that part out of it. I’m trying not to let myself and my internal dialogue influence how the representation is going to be. Usually when you photograph someone, especially they don’t know you, the first thing they say is “Okay, tell me what to do”. I try to avoid that. If I reach out to someone via social media and if they’re down to shoot together, I tell them to wear anything they want to, to just come and present themselves how they would want to be photographed. It’s different for everyone, some people come very casual, others in suits … however they want to be seen is what I work off of. If the shoot is in the studio, I try to start with regular conversations and getting everyone relaxed, trying not to make it a daunting thing where they would feel like they have to act. I do test shots, they enjoy seeing themselves on the plates, and we work off that to get photographs in which they feel most comfortable. If you have one, what’s your vision for the project’s final form? For now, the final form should come off to the viewers as this document of contemporary black representation. For the tintypes, I want to present perhaps a grid of all sorts of people: different skin tones, hair types, body types, genders, ages, sexual orientations – I want everyone. I want to have as much inclusivity as possible, because back in the day you wouldn’t see that. This is also a project that I would be continuing beyond thesis. Sounds like you have been working very hard this year. What have been some difficulties in your process and what has helped in overcoming them? Most of the difficulties, for me, have been working with people and their time. It’s hard to arrange times; sometimes things happen in life and people can’t show up to shoots… everyone has a job, a lot of people have kids. I’d suggest booking more people to shoot in a day, just in case of a flop. Also, trying to gain the trust of people to let me into their homes to photograph them. The other difficulty is the tintypes themselves: so many things could go wrong, and sometimes you don’t know what the cause of the problem is, but I’ve been learning a lot through my research. Then, there are the permits for doing tintypes in an institution, there are a lot of protocols to follow because of the risks involved with the process of making tintypes. What would be a piece of advise that you would’ve liked to know before you started thesis? I felt thesis already suited my mode of working: I do a lot of research and experimentation, and I take a lot of risks. Those are some things people don’t usually consider outside of class. It helped knowing that I wanted to make a project for myself and my community, as opposed as doing something only for school or to impress professors, because this way you are able to push yourself, instead of waiting on a professor to prompt you to do so. I know where I want to push the project to and ,based on that, I move on and keep pushing it in that direction. What are some profs that you recommend because they have had a positive impact in your studies? Peter Sramek. Peter is the best, he has seen so much and been everywhere, and knows a lot about anything photography. I’d definitely recommend him for any class, but especially speaking to him outside of class can be beneficial in terms of feedback and sources to sort after. He is also good at actually listening to what you have to say and responds in accordance to that. Simon Glass as well gives amazing criticisms; depending on your topic, it might not be what you’re looking for or sorting after, but it is certainly constructive and very informative. Please join us in Directed Studio for a visit from Louie Palu, OCAD Photo grad and Photojournalist – artist. Louie is a celebrated war correspondent and now working in the Arctic. My relationship with photography started about twelve years ago or so, when I was in the army. It started as something very mechanical that triggered something else completely, and turned into a passion that developed over the years. I make a living off of photography, and I have been shooting professionally for about seven or eight years full time. I work with a variety of subjects, but the reason why I was attracted to photography initially was the documentary aspect of it, and the idea of the photograph as a historical record. Not so much as a way to express myself, but more as a tool and an excuse for observation. I always joke saying that I’m a people-watcher who turned that into a profession. Most of my work is documentary-based in one way or the other, and I have a camera on me at any given time. Sounds like a very complex relationship, do you draw a line between the photography that you make a living from and other personal projects? I don’t draw a line because photography for me is an impulse, in that I shoot very impulsively. Some of my work can be more polished depending on what the assignment’s requirements are, but, for example, my street photography is very impulsive and can have a very snapshot aesthetic, although it is also organized and balanced. Even when I photograph weddings, I am not interested in doing it in a specific style in order to support my business or book more work; I try to stay truthful to what I like to do, hoping that people end up liking it as well. It’s been going well so far. How do you come up with or settle for a specific project, such as your thesis, when photography is so ubiquitous/ever-present in your life? It’s tough. It’s not tough because I don’t have ideas, but because I am in a stage in my life where it is not very easy to make work. I am a new parent: I have a three year old and a nine month old at home. There’s a lot of responsibility and time that I need to dedicate to my family, which is my number one priority, and then there’s also my business I focus on so I can generate income. After those two priorities, there’s not a lot of time left in a day. Even when I have the spark of an idea, it is very difficult to see how that can come to life practically, at least for now. Because I know that I am very limited, I get less creative with my thinking. I think every new parent would say that you kind of get lost in those years, you lose the luxury of being who you were before becoming a parent and focus on this one really important thing. I’m sure that as the kids get older, I will regain more time to produce more work. Have you had an interest in documenting your family? I do have an interest, and I think it’s very natural to look at your kids and want to photograph them. But having photography as my passion, hobby and profession, a lot of the time I don’t want to do it when I’m with my kids. Spending time with them is more valuable to me than spending that same time behind the camera. I much rather be present; I mean, I’ll pick up the camera sometimes and snap a few photos, but I’ll always go back to being present and part of what is happening in the moment. In terms of your thesis project, what have you been working on? I’ve had to change the direction of my project twice since September. The first time I was working with a subject who decided to stop participating, and since the project was focused on that individual, it went down the drain, at least for now. The second one was cancelled for practical reasons, I wasn’t able to get permissions to photograph a specific landscape that I wanted to work on. 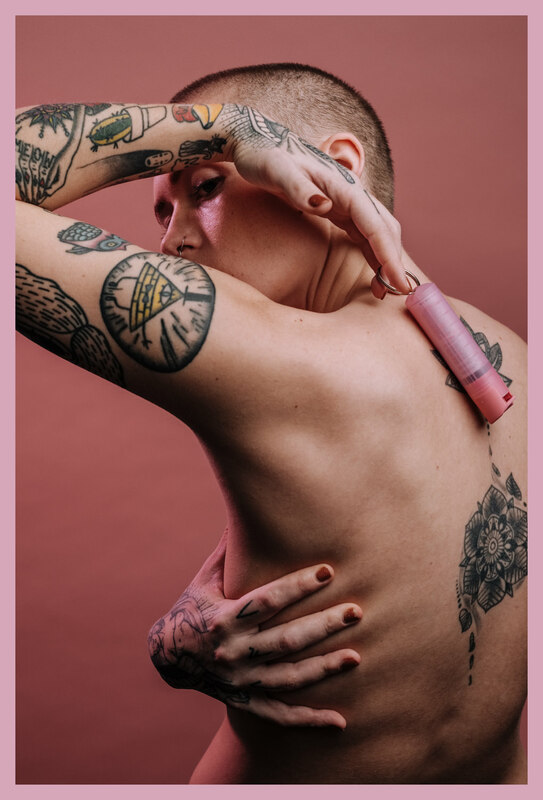 The third project kind of stemmed from a conversation that I had with a model I have worked with before: they’re non-binary, and I decided to focus on that theme for different reasons. Mainly because it is interesting to me, and I don’t know enough about it. Over the years, photography has been a tool that has allowed me to meet people, connect with them, educate myself, and become more open-minded in everything I do and the way I look at the world. 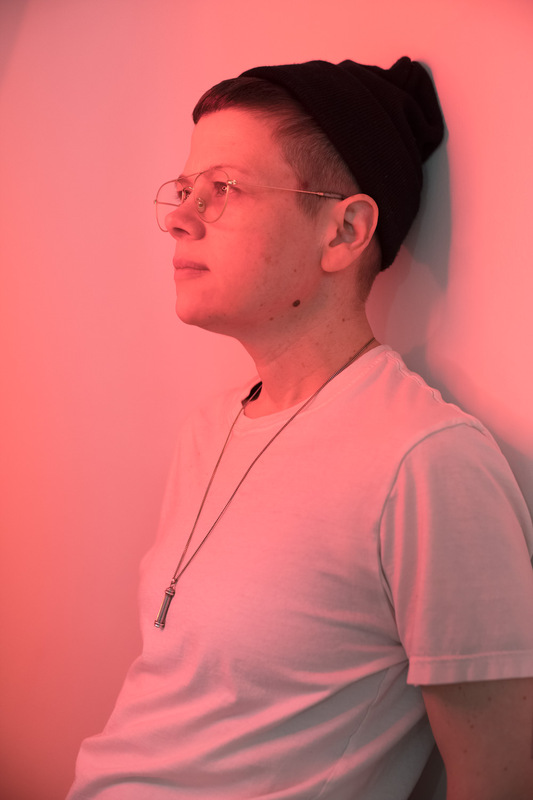 I decided to focus on the subject of non-binary gender for my thesis project and I started reaching out to the community, working with people, having conversations, listening to their stories, and documenting them in their environments. What are things that you keep in mind when approaching a community that perhaps you don’t consider yourself a part of? Any community, whether I consider myself to be a part of it or not, I approach it very carefully. Non-binary gender is not new, but is relatively newly exposed in our society, so the community itself can sometimes be sensitive about this exposure, and often worry about their safety. Luckily, I am a people’s person, and like to think that my energy allows people to feel comfortable. I make connections, and I make the work about those connections. My work can be very process based, and in some of my previous projects, the process was at times 95% of the work and the photos acted as place cards to talk about the process. Most importantly: getting to know people, being respectful, showing genuine interest, and also being very transparent about my intentions, my views, where the work is going, why, and what I hope to get out of it. Considering that viewers will read the work based on what is being showed and how, what’s your vision for the final presentation? How do you see this project evolving this semester? Conceptually, I’m hoping to bring a lot of intimacy into the photographs, and a lot of pride, making sure that the subjects are represented in a way that they can feel happy and comfortable, and that can empower them. I’m going to be documenting everything, and because I like to work very intuitively, I approach my shoots with a general idea or what I want to experiment with, but I also leave space for flexibility. I envision this body of work to feel very organic in the end, rather than just presenting a collection of portraits brought together with an artist statement. This is something that I’m trying to avoid. Not proven to be very easy, if I’m honest. Have you had a chance to reach out to the community and arrange some shoots yet? I have. So far, I have met a person who owns a hair salon, someone who works there as well, an OCAD student who is an artist and a writer, and a freelance model. They’re all very different. I’m working with different personalities and trying to show the individuality in my subjects. This is a priority because I can bring a different perspective to people who are outsiders, or not informed enough about the subject, or even opposed to it for whatever reason: I emphasize that these are people, they do their thing like everybody else, they live, and they love. The individuality aspect of the images is extremely important to me, and I achieve that through conversations, I don’t just show up and shoot. I meet them for coffee and we talk, I make sure everybody feels comfortable; I learn about them and their stories, and the process is a collaboration. What you get from your subjects, what you learn about them, will trigger different ideas, and I use that to make sure it the process does not end up being just me projecting all my views and perspectives on my subjects, and as a result on the finalized series. In the process of working on your thesis, what have been obstacles and what has helped in overcoming them? Luckily, my wife is an extremely supportive partner in many different ways. If it wasn’t for her, I wouldn’t be able to juggle between school, work, and being a dad and a husband. I keep a very tight calendar, which I also use as a to-do list, but it is mainly my wife. She is a project manager and an event planner, so she gives me all the tools, she understands, is forgiving, and is also a great mom. Is there anything that you would’ve liked to know before starting your thesis year? I don’t necessarily feel anything about thesis itself, because I don’t think the time constrain it comes with necessarily helps me. I work well under pressure, but I don’t think I can do my very best in eight months while being overloaded by all these other things too. I’m not phased by it because I am in a different stage in my life, I’m 34 now and I’ve been through a lot in my life – I’ve been a medic, served in the army, I have seen a lot of stuff. But I do feel for younger students thesis can be a huge deal. I mean, I think it is very important, but I do think the expectation doesn’t go hand in hand with the time that we actually have to work on the project. In the end, if you like to do work and photography is a tool of expression for you, you should be working at that level all the time after you know how to do it, and thesis hopefully teaches you that. What are some professors that have made a positive impact during your time at OCAD? Over the years, Meera Margaret Singh has always been one of my favourite professors, she is kind of a walking photography encyclopedia. She’s very knowledgeable, and I like her energy. April Hickox is also one of my favourite teachers, she treats her students more like they’re people than they’re students. April can be a mom figure for a lot of people, and which I think is a beautiful thing. If you can find the right balance when working with her, she’s incredible. She’s also very knowledgeable and extremely experienced. 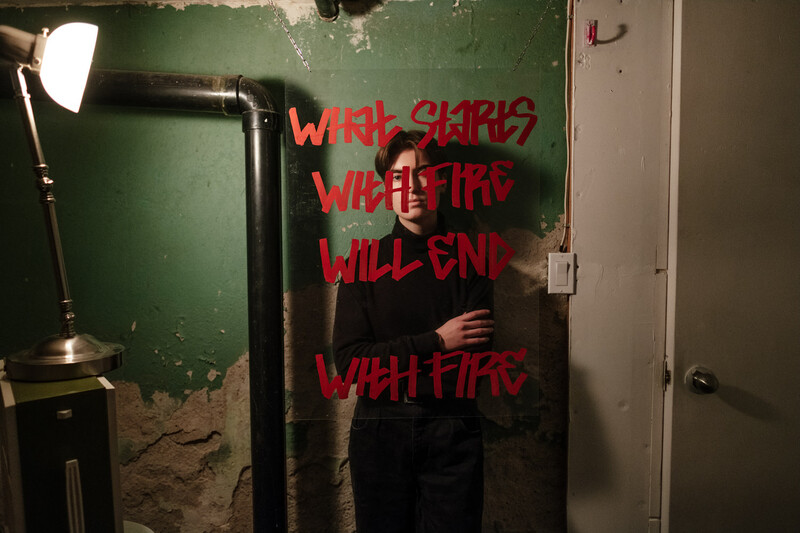 This week, Ana chatted with Sabrina Carrizo Sztainbok, a Photo major in her fourth year. Tell me a little about what you’ve been exploring during your studies at OCAD. I’m really interested in absurdity, more specifically in creating believable absurdity. I’m really influenced by magical realism, and I try to translate that into photography, in a way. It’s been through something that I have come to call “banal absurdity”. Everything I do has an aspect of fiction, but also tries to pass as reality. It’s usually something absurd and a little funny, there’s always an aspect of humor in my work. How has this translated into your thesis project? For my thesis, I’ve been taking self-portraits that are meant to look like family snapshots, but all the subjects are me. 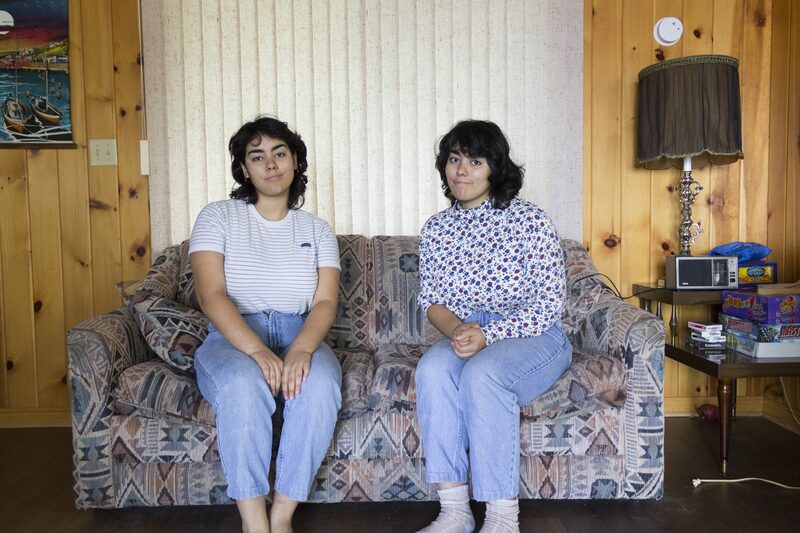 The photographs follow two fictional sisters, who I guess are twins. I haven’t exactly sorted out the precise story of their lives; I want it to be ambiguous, and I don’t necessarily want to know everything. The work is definitely influenced by my relationship with my sister, and my mom’s relationship with hers. What are some of your strategies for achieving an aesthetic that looks from a specific time period? I thrift a lot. I’m very interested in second hand clothing, and I have even done projects about the past lives of clothes. I own clothing that look as if they are from a certain time, even if they’re not. I also use photoshop to edit things like wallpaper, but I don’t necessarily want them to be perfect; the photographs are completely artificial, and I don’t mind if people realize that at some point. They are fragile constructions, which is something that I like. 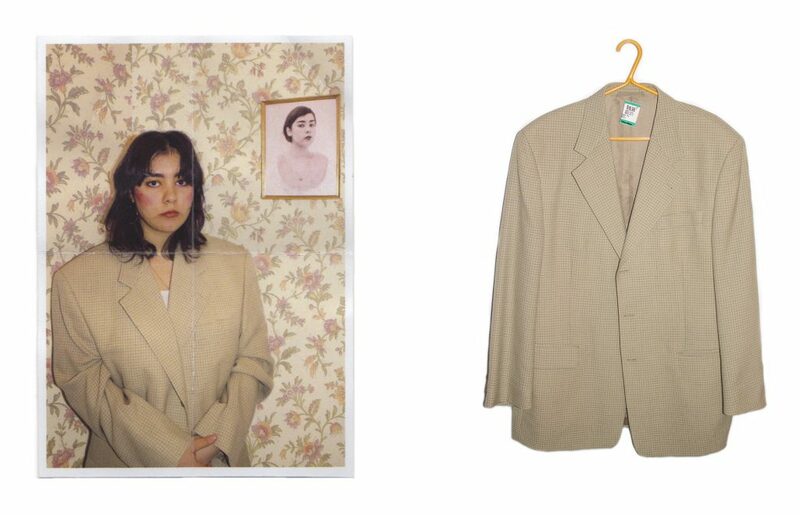 From i was there, a self-portrait series in thrifted clothing. 2018. How was the final presentation of your thesis project last semester, and how do you see it evolving? By the end of the semester, I was starting to explore installing the photos as if they existed in a domestic space. I had a bunch of these images in a photo box that people could pick up, and also a couple of prints on the wall. I think what I’m leaning towards for the end of the semester is creating an installation that looks like a room: some wallpaper, photos on the wall, and also others that people can pick up and look at. I like the idea that the more people handle the photos, the more authentic they’ll look. The goal is also to find second hand furniture, things that already have a past life. What are your visual references or inspirations for your shoots? I definitely collect photos from antique stores, and it’s good to keep track of different formats that were most commonly used at different times and what they look like. 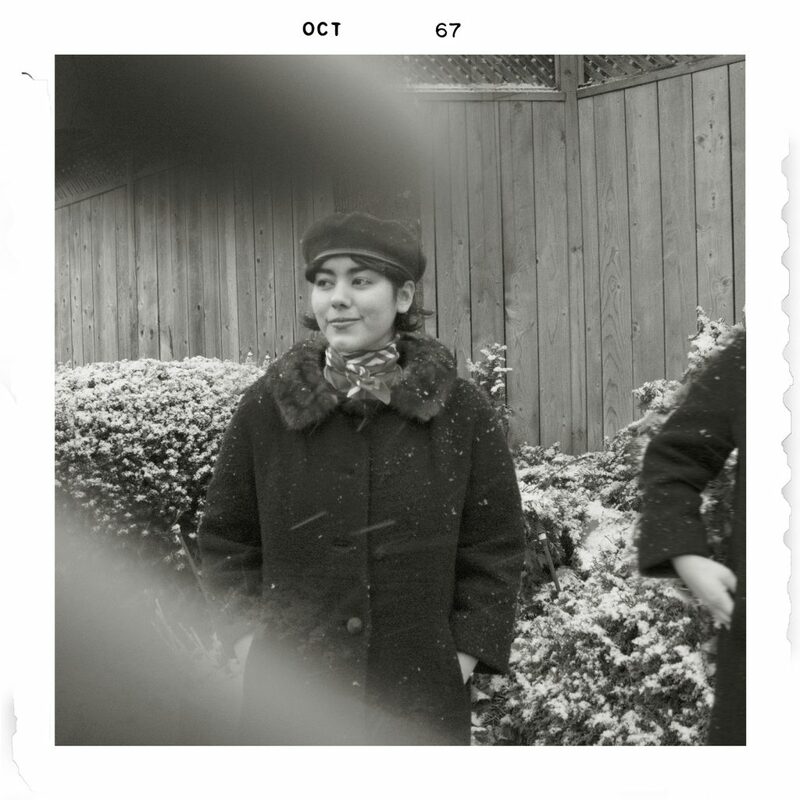 But I’m going to be focusing more on the 60’s – 80’s time period, because that’s what I mostly see in my family albums, which have definitely been an inspiration. I get ideas from those photographs: birthday or halloween shoots, what people were wearing in 1984, or if someone is standing in a particular way. I take that, and create something similar. You have done a lot of self-portraiture, have you also worked with models, friends or family? In an interview, Cindy Sherman talked about feeling bad when asking other people to stay still for a long period of time during a shoot, or struggling to get the right performance out of them. If you’re your own model, you know exactly what you’re looking for, and how to achieve or deliver that. I’m also always available at the time that I need to be available, which is convenient. I definitely felt held back by the idea of doing self-portraiture in the past, I used to think: “How am I going to make this idea work? How am I going to take a photo of myself? It’ll be so difficult”, but once I started doing it, it became the easiest option. In high school, I was very into Henri Cartier-Bresson and the idea of the decisive moment, but then I started wondering if I was ever going to happen upon a “decisive moment.” Being so impatient, I ended up thinking “Why don’t I just make it up?”. It sounds like your project is more rooted in a curiosity for the vernacular and familial aspect of photographs, rather than in attempting to create a survey of the “History of Photography” through self-portraits. Initially it was more like that. Maybe not necessarily the history of photography, but as if there were these two sisters that were transcending time, or being reincarnated. I wanted the work have this weird, fantasy aspect to it. Then I realized it wasn’t working, and I became more interested in the relationship between my mom and her sister, and me and my sister. I focus more in that time period, because it is something that I understand better. How was the process of choosing your thesis topic? This is kind of an amalgamation of all the ideas I’ve had throughout OCAD, when it comes to photography, and I vaguely had the idea before I started thesis. The most important thing is realizing what you’re interested in. For me, it was realizing that I was interested in storytelling, in making up stories. Every time I’m stumped for an idea, I ask myself “What do I like? If I like stories, how can I incorporate that?”. In other projects, I have also come back to family relationships, siblings, vintage things, props, clothes; it all came together to make sense. If people are thinking about how they’re going to get ideas for thesis, it is really important to step back and think about what you’re interested in. That makes a lot of sense, I think “an amalgamation” is a great way to describe it. Do you also write stories? I used to, but now I’m always writing in my phone notes. It will be sentences that I plan to use in songs, or sometimes I just think “I need it to write this, these words sound good together”, and I do. To me, they are like mini stories as well. I know that you’re also a musician, do you think your approach to your artwork is also reflected in Slobrina as a persona? I’m always putting on characters, and it always goes back to storytelling, magical realism and absurdity. With Slobrina I’m inhabiting a different character than I am in my photographs. In that character there’s a lot of self-pitying, which is a specific part of myself that I channel mainly through music. I like confusing people with who I am, and I think there is power in that; although none of my photography is overtly political, I do think there will always be a political aspect in it. I used to sit around and wait for something to happen, for myself to get represented. Then, I started using photography, music, and different characters to be whoever I want to be. During your experience with thesis, what have been some obstacles, and what has helped in overcoming them? I always feel like I’m rushing to the finish line, stressed about trying to get everything done. It always works out in the end, but my biggest obstacle is time management. Figuring out a system of how and when I’m going to take the photos has been working for me, but, at the same time, I work more instinctively. I don’t have a lot of time to sit and think about it, especially because I want to have volume. What is something that you would’ve liked to know before you started your thesis year? You get to do a lot of experimenting, which is not something that I realized before. I stressed about how concrete things needed to be, but the first semester it is all about research. You are still moulding what your idea is going to be, and you can try all sorts of things. I think that people shouldn’t be afraid to experiment, or trying different ideas before settling. April is always emphasizing that people’s ideas should be looser, so that there can be different pathways to explore and take. Growing from something very concrete is harder. Who are some professors at OCAD that made a positive impact in your education? Nicolas Pye, Derek Sullivan who is a Sculpture prof, and Lee Henderson. Usually, my favorite profs are those who give really interesting examples of other artists, because I feel inspired in their classes. To see more of Sabrina’s work, you can visit her portfolio, and follow her on instagram. To know more about Slobrina, check out her music account.